When it comes to the federal employee pay raise, no news is good news. And that is exactly what feds received from House Republicans in the spending bill introduced Tuesday evening to keep government open past Sept. 30. The $1.01 trillion continuing resolution makes no mention of the raise, meaning it would allow President Obama’s 1 percent, across-the-board 2015 pay bump to go into effect. 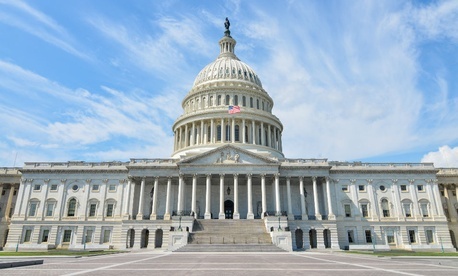 If approved, the spending measure would avoid a government shutdown through Dec. 11, when Congress would aim to pass an omnibus appropriations bill for the remainder of fiscal 2015. Lawmakers could theoretically block the pay raise at that time, though they have yet to show any interest in doing so. The bill, authored by House Appropriations Chairman Hal Rogers, R-Ky., maintains current spending levels for the rest of the calendar year. The House plans to vote on the measure on Thursday. Lawmakers are desperate to avoid any appropriations lapse in the run up to the November midterm elections. While Rogers hailed the bill as a “clean” CR that simply continues the spending levels awarded to federal agencies for fiscal 2014, final passage is still subject to more controversial measures getting attached to it. In response to Sen. Ted Cruz, R-Texas, calling for the continuing resolution to end President Obama’s authority to defer deportations of undocumented residents, Senate Majority Leader Harry Reid, D-Nev., said such a movement could block a bill. In a major coup for the White House, House Republicans agreed to extend the charter of the Export-Import Bank -- set to expire Sept. 30 -- until June 2015. While Bank officials said they would not have been forced to shut their doors come Oct. 1 in the absence of congressional action, the agency’s 400 employees would have been out of a job when its portfolio reached maturity. The CR also includes a boost in funding for the Veterans Affairs Department to investigate potential impropriety in manipulating waitlist data and retaliating against whistleblowers. It also increases appropriations for VA to reduce its disability claims backlog. While Cruz and some conservative Republicans are pushing for the bill to address larger immigration policy, Rogers’ bill simply allows Customs and Border Protection the flexibility to move funds around so it can maintain its current workforce levels. In another victory for the Obama administration, the bill fully funds the White House’s $88 million request to research and fight the spread of Ebola. The measure avoids more controversial provisions, such as addressing the U.S. Postal Service’s plan to close 82 facilities in 2015 across the country. A majority of senators, including Reid and members of both parties, wrote to the Senate Appropriations committee asking that any spending bill delay closures for one year. Rogers said he expects the stopgap measure to reach Obama’s desk without much resistance.